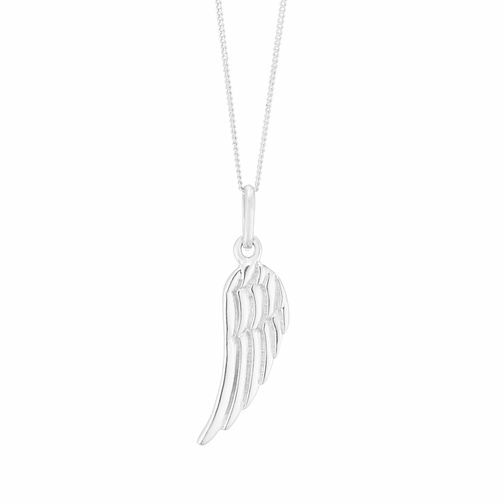 A delicate and detailed angel's wing is presented beautifully on a dainty silver chain pendant. Made from sterling silver and featuring a textured pattern, this wing pendant could make for a sentimental gift to someone near and dear. Sterling Silver Angel Wing Pendant is rated 5.0 out of 5 by 11. Rated 5 out of 5 by Anonymous from Simple and beautiful pendant Necklace had a right length and it fitted nicely. Pendant was exactly what I was looking for.